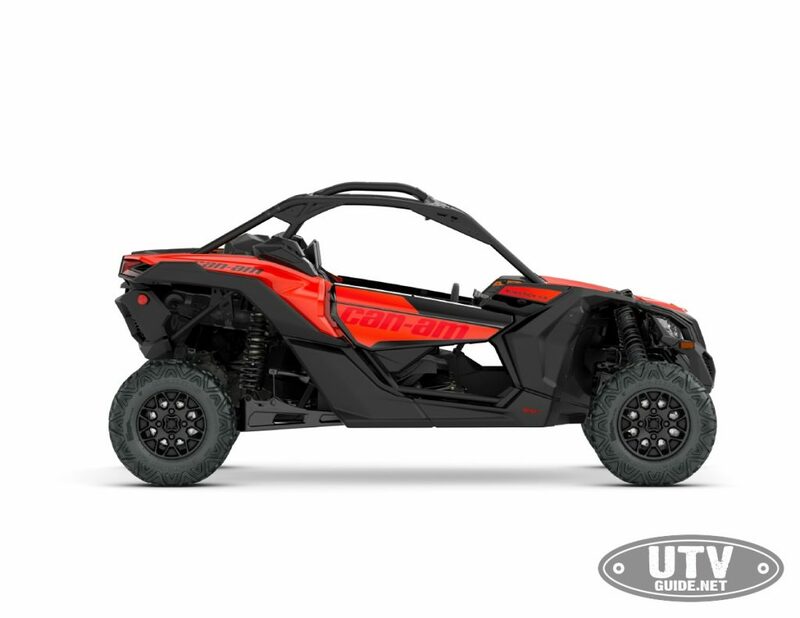 Can-Am continues to deliver on its promise to bring the defiant, precise and powerful dynamics of the Maverick X3 side-by- side vehicle family to the off-road masses with the introduction of the naturally aspirated Maverick X3 900 HO base package. The new Maverick X3 900 HO vehicle arrives with the proven and segment-altering Maverick X3 family genetics, including the triple-cylinder Rotax powerplant. Along with a few specific package features, like its stirring Can-Am Red color and a full 18-in. (45.7 cm) of suspension travel, the new point-of- entry Maverick X3 family member further blurs the lines between affordability and precision performance. The introduction the 2018 Maverick X3 900 HO extends the Can-Am X3 side-by- side vehicle’s industry superiority to the hordes of performance enthusiasts, but does so at an exceptional value. Sharing the same core DNA and many of the same features as the most powerful factory- built side-by- side vehicle on the market, the turbocharged 172hp Can-Am Maverick X3 X rs Turbo R side-by- side vehicle, the all-new, 90hp X3 900 HO vehicle remains defiant, precise and powerful in its makeup. A few strategic package changes compared to its high-horsepower sibling create a well-equipped 64-in. (162.5 cm) wide vehicle that’s superbly proficient in a wide variety of terrain. front with a distinctive Can-Am family appearance, then moves through the advanced cockpit, complete with push-button start/stop, and ends with its aggressive and energetic rear end. All Can-Am Maverick X3 side-by- side vehicles have a low seating position that encapsulates both driver and passenger so they feel at one with the vehicle and connected to its every move. The Maverick X3 900 HO family of rock-ready side-by- side vehicles features excellent ground clearance to accommodate varying conditions. Its high and dominant posture ensures optimal off-road capabilities with no compromise to line-of- sight. The Can-Am Maverick X3 900 HO side-by- side vehicle is designed with a smooth line of sight to create an optimized field of vision for both occupants. The Can-Am Maverick X3 side-by- side vehicles have everything in the right place with easy-to- access controls. The race-inspired, flat-bottom steering wheel tilts up to 25 degrees and has an integrated digital gauge for optimal visibility at any angle. There is also a panoramic mirror for excellent rear visibility to see other drivers lagging behind. The multifunction digital gauge includes a speedometer, tachometer, odometer, trip and hour meters, fuel, gear position, sport mode, ECO mode, seat belt and 4×4 indicator, diagnostics, clock and auto shut off. The Maverick X3 900 HO side-by- side vehicle is simple to accessorize to let owners maximize their customization efforts. Available genuine Can-Am and valued aftermarket partnership accessories include bumpers, harness kits, graphics, cargo racks and roofs to name only a few. Installation is designed to be quick and easy, especially when using Can-Am LinQ accessories. An integrated wiring channel and ground post was incorporated for easy electronics installation. The Can-Am Maverick X3 900 HO side-by- side vehicle features the amazing four-link TTX suspension with its trophy truck-inspired trailing arm and three links that control wheel toe for optimal geometry during extra high wheel travel. Components are perfectly matched for unparalleled power transfer to the wheels and high traction with virtually no bump steer. The suspension system, with its 18-in. (45.7 cm) of travel — which is better than the competition — offers precision control, traction and more confidence. with dedicated servicing zones in case of repair or replacement. The cage is fully ROHVA compliant and creates a protective barrier around both driver and passenger. The Can-Am Maverick X3 900 HO vehicle offers protection for all occupants with its standard high-strength DP 980 steel black cage, integrated front bumper, quarter doors, full HMW skid- plate and capable 3-point seat belts. The Can-Am Maverick X3 900 HO side-by- side vehicle sports 14-in. (35.6 cm) black, aluminum wheels with six-ply, 27-in. (68.6 cm) Maxxis Bighorn 2.0 tires. The proven tires have sturdy lugs and a non-directional tread pattern for a smoother ride over a wide variety of terrain. The Can-Am Maverick X3 900 HO features a high-performance suspension with ideal front and rear balance (44% front / 56% rear) and premium FOX 2.5 Podium shocks. It rests on an ultra- efficient, lightweight chassis and delivers superb performance through optimized handling. Ample braking and a strategic design also enhance the driving experience. All Can-Am Maverick X3 side-by- side vehicles have many driver-centric features. An updated high-torque, Tri-Mode DPS system (Min, Med, Max) is designed to optimize the desired amount of steering assist for trail riding and in extremely difficult terrain where management at slow speed is a necessity. All Maverick X3 models come with Intelligent Throttle Control (iTC), which provides smooth throttle delivery even if the driver’s foot is bouncing in rough terrain. The Maverick X3 900 HO vehicle also has the race-inspired, quick-ratio steering wheel with just 1.5 turns lock-to- lock, for precise control. The Can-Am Maverick X3 900 HO side-by- side vehicle offers a total of 2.5-Gal. / 9.4 L of storage by way of a fixed glove box, center console and two cup holders, because added convenience improves the overall performance package. Externally, there is a rear rack with a 200-lbs. (91 kg) capacity. The rack works with the Can-Am LinQ quick-attach accessory system, allowing easy installation and removal of a storage box, rack extension, bag or other items. The centre console includes a lighter-type DC outlet as well. The all-new 2018 Maverick X3 900 HO benefits from the X3 family’s revolutionary design, style and industry influence but offers more affordability for the off-road crowd. The Maverick X3 side-by- side vehicle’s 90hp Rotax ACE inline triple-cylinder 900cc engine delivers ample performance for a wide variety of conditions. Don’t let the reduced horsepower fool you, though, as the Maverick X3 900 HO vehicle is made to enthrall while it induces smiles. The Rotax ACE engine is located in the rear of the chassis, resulting in lower cockpit noise, vibration and heat. 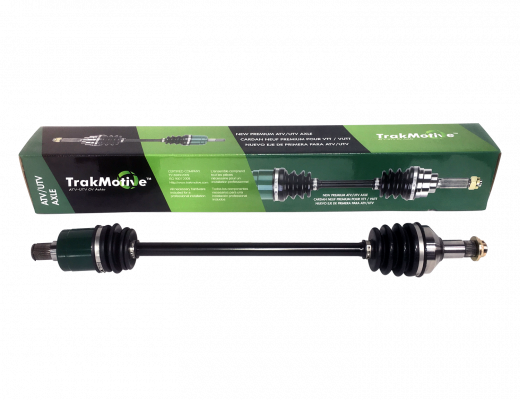 It also has iridium spark plugs, for improved combustion, longer life and lower maintenance. 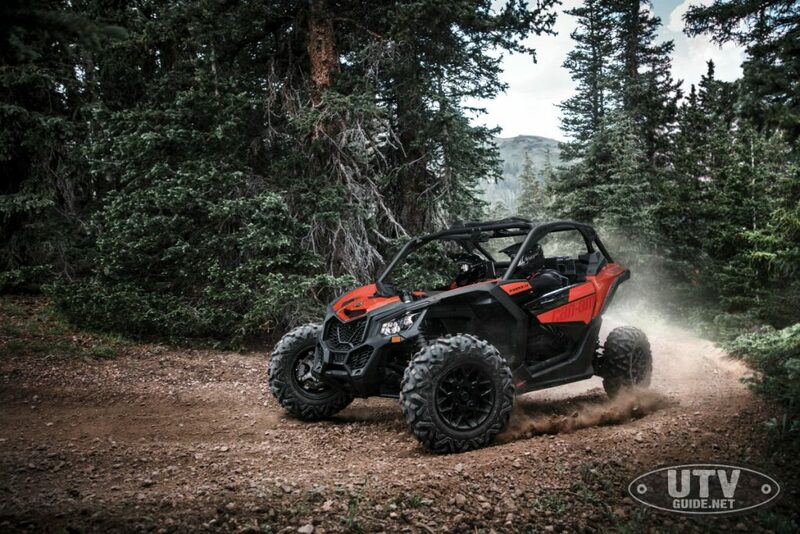 Am Maverick X3 side-by- side vehicle’s high-output, 650-W magneto can handle it. The Can-Am Maverick X3 900 HO side-by- side vehicle features a highly efficient airflow system that’s optimized from intake to exhaust to deliver superb engine efficiency and performance. The intake areas are strategically positioned high and dry for excellent mud/water protection. There are three oversized air intakes located behind the driver that deliver a constant supply of clean air – two to cool the CVT and one for high airflow to the engine. The Maverick X3 family also features an easy-to- access, long-lasting Donaldson air filter that’s purpose-built for performance. The Can-Am Maverick X3 900 HO side-by- side vehicle has the same high-performance QRS-X CVT transmission and a compact gearbox that’s optimized to enhance throttle response without torque interruption. It has a smooth and predictable engagement, and stays at an optimal RPM so the focus can be on driving and overall performance instead of shifting, even in the most severe conditions like hill climbing or muddy terrain. The QRS-X CVT transmission’s drive belt uses a special compound to produce a stiffer belt with more lateral rigidity. 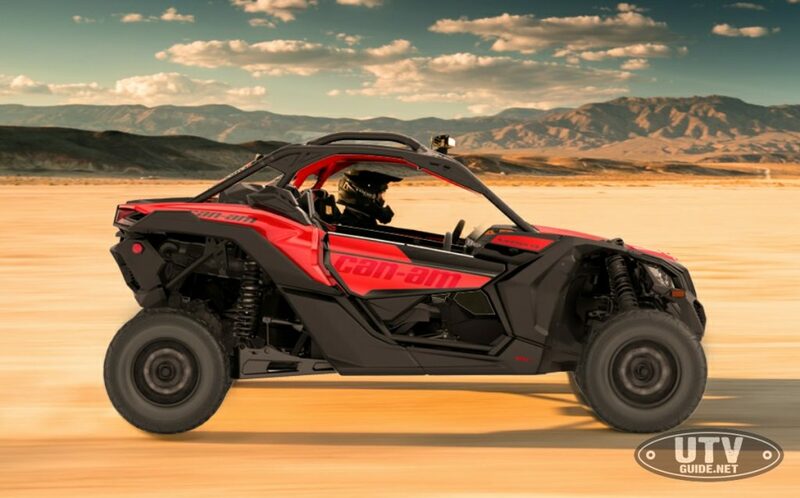 The Can-Am Maverick X3 family’s enormous power transfers into extreme capability using the long, wide CVT belt and a robust three-roller pulley design that includes integrated cooling fins for enhanced airflow. It is a gear-on- gear system with no rear prop shaft for more durability and no maintenance required. 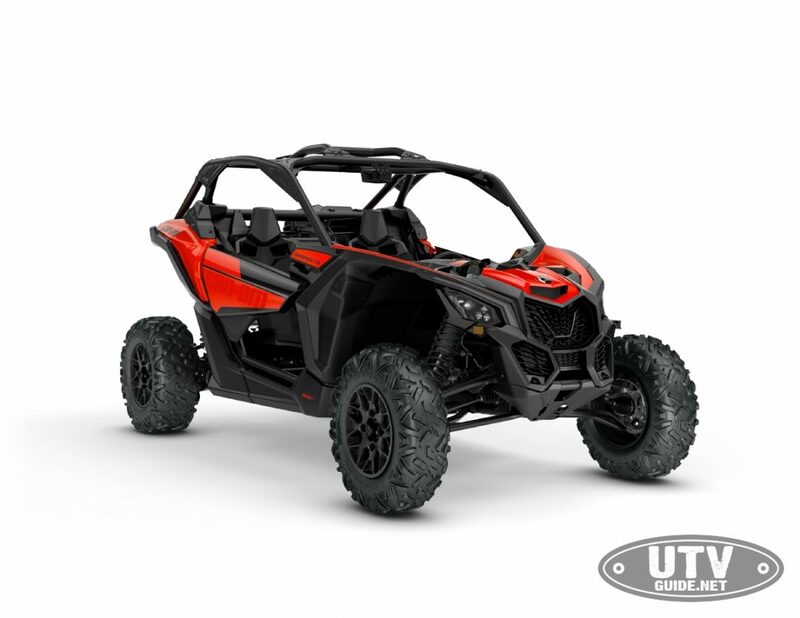 The Can-Am Maverick X3 900 HO side-by- side vehicle features the same advanced airflow design for optimized CVT cooling which provides better protection for longer-lasting CVT components (e.g. longer belt durability) and less maintenance. More fins were added to the fan to enhance heat transfer. The Can-Am Maverick X3 900 HO side-by- side vehicle was designed for ease-of- maintenance with the transmission system by way of quick access to the filters, an easily removable CVT belt and easy-to- access CVT cover drain plug.